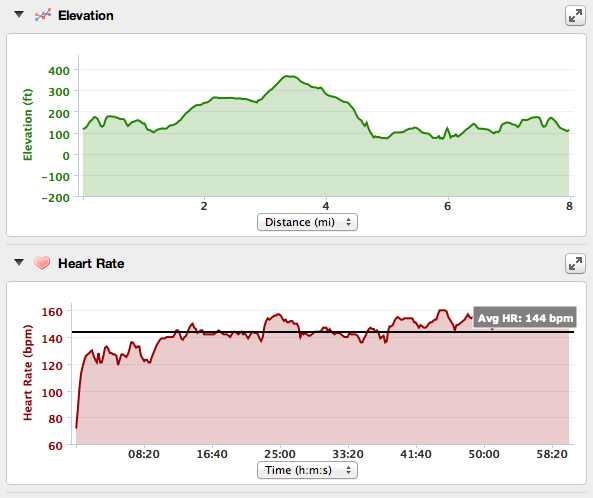 You are here: Home » Heat Acclimation Run! For today’s run Coach Johnny had on the schedule an 8 mile run. 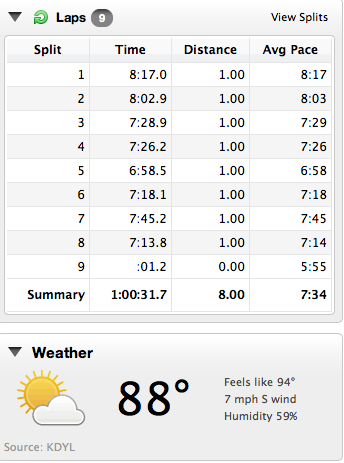 I ran this at lunch to take advantage of the 90F heat. I have been making sure that I am hydrating and using electrolyte supplements as well. This seems to be working. Also being the middle of the day I made sure I applied plenty of sun screen. Normally this type of heat really makes me feel terrible but I have found that by hydrating properly I am able to run in these conditions. I need to be smart but I need to get this runs in to acclimate to the conditions I will face in the Maccabiah Half Marathon. 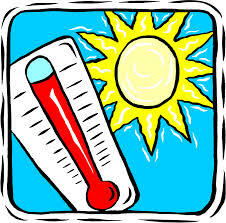 Weather permitting I will run easier runs in the afternoon to acclimate to this heat. So far so good. 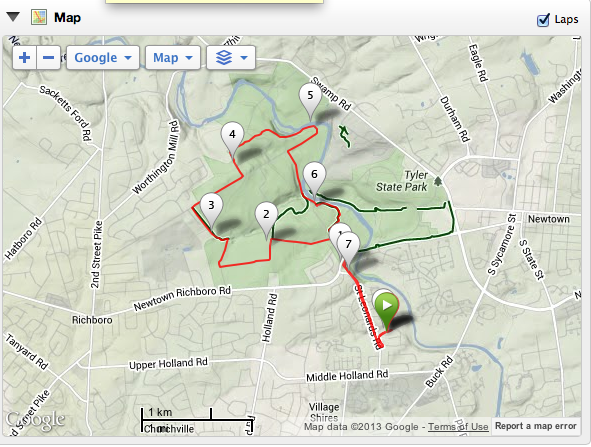 I ran the run on my usual run from my house to Tyler State Park and ran the back 5.3 mile loop. Again, I felt good today. I was able to just relax and let the legs roll. I did have a water bottle with me filled with an electrolyte mix and I kicked most of it by the end of the run. I could feel the heat especially where there was no shade and the blacktop really absorbed the heat. That said, no cramping or light headedness which I have often felt running in this type of heat. Considering I raced in the heat yesterday this is a really good sign! 11 days until I head off to Israel! !